I just don’t have time right now to copy and paste those specific links to their own list. I will, however, eventually find the time (actually, I have since found the time to do just that). Until then, however, I thought bringing all the volcano-related “The Best…” lists would be useful. In addition, I’ll start adding new links on volcanoes to this list. I’ll also be adding this “The Best…” list to A Compilation Of “The Best…” Lists About Natural Disasters. A Year of Volcanic Activity is a series of photos from The Atlantic. Nyiragongo Crater: Journey to the Center of the World is a series of photos from The Boston Globe’s Big Picture. What Causes Volcanoes? is an accessible guide from CBBC News. How volcanoes can change the world is text from CNN that can be modified for ELL’s. The same page links to several good videos. Here’s an animated guide to Volcanoes from the BBC. Monumental volcano eruptions from the past is a slideshow from the Los Angeles Times. Curriculum Bits has an exceptionally accessible animation on volcanoes. Top Ten Active Volcanoes infographic. Volcanoes are awe-inspiring. Here are 7 things to know about them. is from Vox. Where the Earth is erupting on Hawaii’s Big Island is from The Washington Post. The U.S. has over 160 active volcanoes. 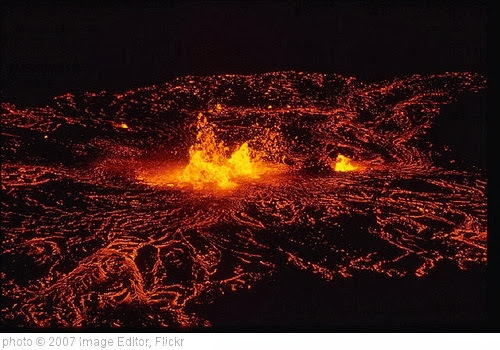 How likely are they to erupt like Kilauea in Hawaii? is from NBC News. Five myths about volcanoes is from The Washington Post.